Why BRAND Standards IMPLEMENTATION is so important? Everyone recognizes that brands are important. 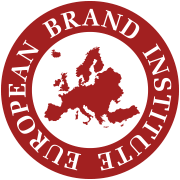 But why is the implementationof standards for brand value and brand management so important? To start with, we must realize that since the 1990s investment in intangible assets (such as- R&D, software, human resources and brands) has exceeded that of tangible assets. The intangible asset value component of the S&P stock index grew from 17 percent in 1975 to 87 percent in 2015. Intangible assets are now the key to economic growth and increasing corporate value. Unfortunately, as with intangible assets generally, it has historically been very difficult assign a value to brands or identify the metrics for brand management and reporting. Brands exist in the minds of customers. Names, symbols and the like are just ways of referring to brands, ideally in a way that itself influences how consumers think about the brand. The brand, however, is the ultimate meaning, or the idea, of the product in the consumer’s head. It is how the consumer thinks about the product, what he or she believes to be true about it. A brand is thus subjective, not objective. The key point to realize is that it is the consumer who owns the brand. The brand exists in the consumer´s mind. Although brands are created by tangible investments in advertising and other marketing activities, the resulting brand is the idea or meaning that is created in the consumer’s mind. It is an intangible asset. Beyond this, and unlike software or patents, a brand only exists as a subjective state in the consumer mind. From a company’s point of view, the question becomes, how do you assess the value of a brand when brands are so intangible as to be essentially subjective. set rules for the assessment of brand management and the monetary valuation - for something that exists in the consumer’s head. To do this we have to first evaluate the strength of the brand according to the latest international standards. These standards specify the different kinds of indicators of brand strength that can be used to evaluate the power of the brand idea or meaning in the consumer’s mind. Many indicators have been developed by marketers and used to measure brand strength. A simple one would be to ask consumers which brand in a category they would pick if they could have any of them regardless of price. The final step in determining the value of a brand is to relate the evaluation of the brand to one or more metrics of financial performance. The performance on financial cash flow determines the monetary valuation of the brand. The value of a brand for a company can thus be measured even though brands are inherently intangible and subjective. For such measurements to be accepted and implemented, however, standards must be implemented so that measurements are consistent and comparable across organizations and over time. The implementation of these international standards is the key to being able to treat brands as intangible financial assets so that they may be fully taken into account in corporate governance and in transactions among companies as well as in investment decisions.